Running a business of any size is, well, tricky business. On one hand, you want to do it all. It’s only natural. As an entrepreneur, there’s a good chance that you built your company from the ground up, bootstrapping as you went along. Naturally, there’s a part of you that just assumes that if something needs to be done, then you should rise to the occasion and do it. But while this is all well and good, the fact is that if you want your company to grow exponentially, you’re going to have to learn when to let go. Far from being a symbol of defeat, being able to outsource and delegate effectively is the sign of a great leader. Having a great team on your side allows you to scale your company to a level that just wouldn’t be possible to on your own. 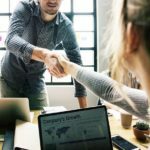 Learning to effectively outsource will free you up from having to perform all of the everyday tasks on your own, allowing you instead to pour your time and energy into making key decisions, implementing growth strategies, improving processes, enhancing the customer experience, and other things that are pivotal for your company’s long-term success. I hate to break it to you, but as entrepreneurs, we’re subjected to a curse. That curse? The need to do it all. Some 98 percent of entrepreneurs claim that their biggest challenge they face is, ‘doing everything themselves and not having enough time.’ This is a telling statistic, and highlights one of the most important issues that we’re facing today: the curse of trying to do everything ourselves! For entrepreneurs, it’s an important milestone when you realize that not only can you outsource, but that you SHOULD! Not only will delegating help to keep you from burning out, it’ll also allow you to stop spinning your wheels, and start focusing on high-level tasks that will allow you to drive your company forward. 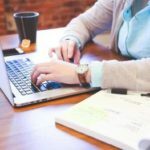 Back in the earlier days of my business, and up until a few years ago, I had been doing a number of administrative tasks –things that a virtual assistant could have done. It didn’t seem like too much at first, but over time the amount of work that was involved with these tasks and the number of hours that I was spending on them, began to add up. Once I hired a VA and began outsourcing, it let me step back and instead focus on growing my company. Alright, so we’ve looked at the main benefit of delegating: freeing you up to focus on running your company. 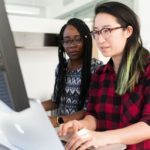 In this section, let’s look at some benefits that come from outsourcing to contract workers –like freelancers, virtual assistants, and other remote workers. This is a real kid-in-a-candy-store moment for you! There are lots of pretty sweet rewards that’ll come once you start outsourcing, as long as it’s done effectively. Increases Your EfficiencyWhen you’re outsourcing, you’ll be able to operate far more efficiently. Since you’ll be spending far less time on time-consuming tasks, you’ll be able to focus on other, more pivotal things instead. Plus, it can help your entire company to operate more efficiently as well. Enlisting outside help for tasks that would otherwise have to have your team perform allows them to continue to focus on their regular duties, without having to be distracted by extra tasks. Can Represent an Excellent Cost-SavingsThe great thing about outsourcing is that you only pay for what you need. Instead of having to budget for additional full-time staff and make sure you’ll have enough work to keep them busy, you can simply outsource tasks on an as-needed basis. In some cases, it can work out to be a lot more cost-effective than hiring another team member. Will Mean Fewer HeadachesWhile full-time staff can be necessary, in some situations it makes sense to outsource. Delegating to a contract worker will help you to avoid the payroll and tax headaches. Instead, you just pay them, send them a 1099 form, and then inform the IRS at the end of the year. They’ll be responsible for filing their own taxes. Forces You to Refine Your ProcessThis may not sound like a benefit, but believe me, it is. When you’re hiring a contractor to take over certain tasks, you’ll have to break your processes down into clearly systems for them to follow; complete with expected results. This allows you to streamline your processes and will give you measurable results that you can track as well. With any standard operating procedure, the goal should be to make it extremely easy to understand. In fact, it should be so simple that a 5-year-old could do. A more detailed process will have a lower chance of mistakes and a much shorter learning curve as well. Allows You to Tap Into Additional ResourcesYou may understand the ins and outs of starting, running, and operating a successful company, but what about payroll and taxes? What about the law? There are some things that you most likely will not know about, and don’t care to immerse yourself in. Delegating these tasks or outsourcing to others, who are knowledgeable in these areas will allow you to tap into and benefit from their expertise. Now, not all tasks are created equal. There are some things that you’ll want to refrain from outsourcing, and others that you should definitely consider delegating. Ok, now let’s move along and look at which tasks you should delegate. Get our Outsourcing and Delegating Worksheet delivered right to your inbox. Highly skilled expertise. This includes legal advisers. Or, you could consider hiring a part-time executive. This would allow you to benefit from the expertise of a seasoned professional, without having to keep them permanently on the payroll. Highly repetitive tasks. This includes things like bookkeeping, data entry, inventory, scheduling, and administrative tasks that a VA could do. Specialized knowledge. Other times, it may be beneficial to outsource to someone with specialist knowledge. For example, you might want to consider having a social media specialist create a plan, and then meet with them every few months to discuss the strategy –while having a lower-paid contractor implement the strategy itself. Here’s another excellent way for finding tasks that could be outsourced, and a technique that I use often. Start by writing down everything that you do for the next week, and assign a dollar value to it. 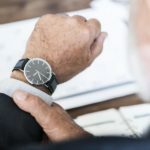 You can do this two ways, either by calculating how much per hour would it cost you to hire someone to do the same task, or by figuring out how much value that task brings to your bottom line. Think of it in chunks of $10, $100, $1,000, and $10,000. You’ll quickly realize that you spend a lot of time each day doing tasks that don’t add a lot of value. Of course, if you can honestly say that you spend your day focusing only on $10,000 tasks, then you’re a lot more efficient than me! Now a word of caution. Before you dive in headfirst and start outsourcing, it’s important to make sure you’re doing it for the right reasons. For instance, it’s not generally a good idea to outsource jobs simply because you dislike them. Many founders will probably be thinking,” AHA, I will outsource sales because I don’t like them,” but the truth is, the best course of action is to outsource when doing so will give you the most value. Also, any area where the ultimate impact is long lasting, such as hiring decisions, is an area where you should proceed carefully when it comes to delegating –especially if you’re a small business. Many other tasks, though, can easily be delegated. 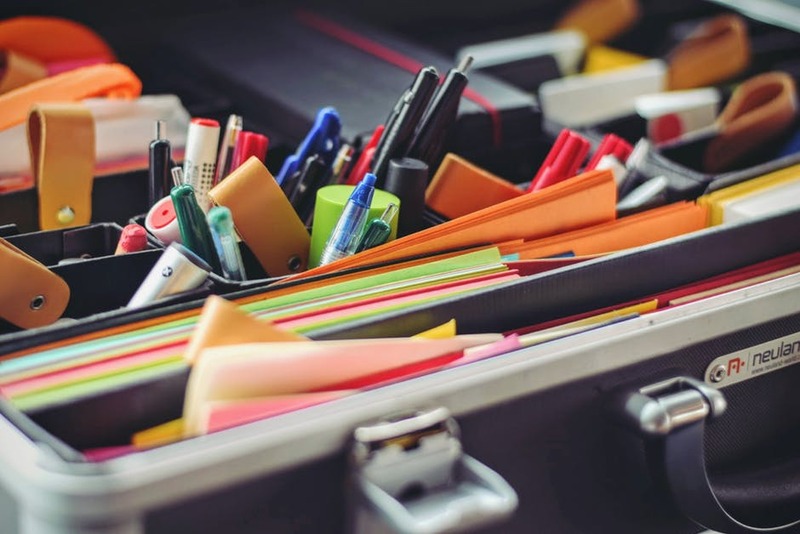 Here’s a look at some especially common tasks that many entrepreneurs are opting to delegate. BookkeepingBookkeeping is one task that small business owners routinely neglect. But without a clear and accurate record of the books, you’ll have a difficult time running your company. Accurate records are vital for ensuring the health of your business and measuring the ROI of different strategies. By outsourcing this job to a bookkeeper, you’ll be able to ensure that you have accurate and up-to-date information that you need to keep on course and make important decisions. Plus, it’s affordable! PayrollPayroll is similar to bookkeeping, and many bookkeepers can do both. Nothing can get you in trouble faster than not paying the right amount of taxes. Keeping up with the constant changes in federal, state, and local tax can be a nightmare. Do yourself a favor: outsource your payroll and breathe easier! Social Media MarketingSocial media marketing and outreach are often-forgotten by small businesses. With so many more pressing issues to be managed, things that aren’t front-and-center tend to fall by the wayside. This is unfortunate, considering a majority of today’s marketing is done online. Hiring an agent to develop, monitor, and manage your social media marketing could be a worthy and cost-effective investment for your company. Content MarketingLike social media marketing, content marketing also matters. If you’re a web-based business, then it’s especially important to ensure that you have a solid strategy to draw in new, relevant visitors to your website. You can easily outsource this work to an experienced writer who has experience in content management. Marketing EffortsMarketing is the fuel for your company. Without it, your sales would take a significant hit! While it is understandable that you are already busy overseeing the logistics of your company, your marketing can’t take a backseat. Consider contracting a fractional CMO to help with strategy and guide you in the right direction. Then, outsource the steps to a different contractor. Administrative TasksAs I’ve discovered, utilizing virtual assistants is an extremely cost-effective way to get routine tasks done. A VA can help you with scheduling, prepare email newsletters, publish blog posts, and do invoicing, as well as voicemail and email management. Finding yourself starting to warm up to the idea of outsourcing? Great! 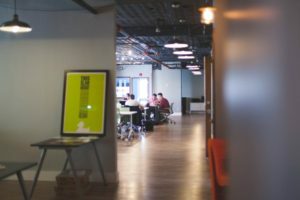 Now, let’s take a look at a few things that you should do to ensure you outsource effectively and some tips for managing your remote workers and in-house staff. First things first, before you outsource a task, you’ll want to make sure it’s a worthwhile activity. Ask yourself if it’s something that could be automated or simplified. For example, you could use a tool like Hootsuite to schedule out your social media posts for the month. 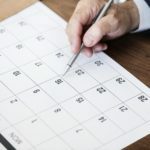 You should also determine if it’s something that could be eliminated without much consequence, such as weekly meetings (held just for the sake of having meetings) or monthly client reports (if your clients don’t really expect or even appreciate them). If the task doesn’t add value, or is just ‘something that you’ve always done,’ experiment by eliminating it and see if anyone notices. One of the ways that I’ve been able to keep my employee count low, is by continually looking at the tasks that our team are performing every day, to see if there’s a way to automate the process. Sometimes this involves using of-the-shelf software programs, or even, in some cases, creating a program from scratch. Implement Key Performance IndicatorsOutsourcing without a way of measuring results is a recipe for disaster. Without a clear plan in place, you’ll have no way to know if the task you’re outsourcing is producing a decent return. Having key performance indicators (KPI) in place is always an important first-step when delegating. Only Accept the BestWhen it comes to delegating, whether it’s in the form of hiring a new team member or enlisting the help of a contract worker, it’s important to find someone who’s a great fit for the job. With an airtight screening process and a bit of sleuthing, you’ll soon be able to find the most qualified applicant. When hiring, always check references and make sure their resumes are solid. It’s also a good idea to give short-listed candidates a one-time test job to test the quality of their work. Be ClearOutsourcing can go really wrong really fast if you don’t establish clear expectations from the start. While many people that you outsource to will be able to bring their own experience and ideas to the table, after all –they’re experts in their niche, you should still make sure that your end goals alight, and that your expectations will be met. Provide Adequate InformationWhen you hire someone from the outside to do a job inside, they’ll need adequate information in order to provide you with the correct services. They will most likely ask you a lot of questions, and in some cases, have you fill out numerous forms. While it may seem a bit redundant, this information enables them to give you the best results. The quicker you provide this info, the sooner they can get to work. Let Them Do Their JobWhen outsourcing, take care not to micromanage. While you are still overseeing the projects, it’s important to realize that there are multiple ways to get the same results. If the person or company you hired say, uses a different program than you are familiar with, don’t demand they change. As long as it doesn’t affect you in any way, and they are delivering high-quality results, then let them do the job that you hired them to do. With every new employee or contract worker, there’s always going to be a bit of a learning curve. This doesn’t necessarily mean that you made a mistake or hired the wrong person for the job. It takes anyone a few days to adjust. After the initial round of feedback, they should be much more aligned on the process and your expectations. They’ll continue to improve, and you’ll increasingly have more time to focus on other things. Outsourcing and delegating tasks and jobs in your company might be difficult, and at first, you may feel that you’re giving up some measure of control. But it’s important to realize that in the end, outsourcing will give you more control over your business, and not less. Offloading repetitive or expert-level tasks to someone else will allow you to refocus your efforts and attention where it matters most –growing your company. 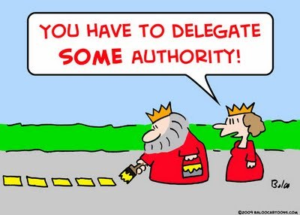 Do you struggle with delegating? How did you get over the initial hurdles?